As we continue to fight censorship during #ArrestedReading Month this September, we want to highlight those characters who bring girl power to the conversation. Today, we count down our top five heroines in banned or challenged fiction. These loveable yet powerful characters play an important role in challenging the minds of countless readers and that is in itself a timeless story. Not only do these characters represent life, love and coming of age, they show the world through the eyes of a young lady. How is it possible to so accurately capture the essence and adventure of growing up as a girl? These protagonists are written by some of the most ground-breaking authors of all time, who are also women. Published in 1962, the classic A Wrinkle in Time has sold more than 10 million copies worldwide. Unfortunately, not all readers share the same sense of wonder for magical realism and excellent character development. The book was challenged by various religious groups including Jerry Falwell ministries for containing offensive language, undermining religious beliefs and challenging the idea of God. Nevertheless, Meg remains a role model for readers who want to change the world, and other worlds while they’re at it. A brand new film adaptation of A Wrinkle in Time is coming soon in 2018! Ava DuVernay, one of our favorite directors, is at the helm and Meg will be played by the incredible Storm Reid. This 1989 book, originally published in Spanish, is a beloved contemporary work. In 2012 an Idaho school district decided the book was inappropriate for high school sophomores and banned the book from the curriculum. Like Water for Chocolate had previously drawn complaints from school districts in Wisconsin and Arizona. Tita’s expression of love through food is a theme that is too powerful to be denied. One of the most recent books to be added to the challenged books list, The Hunger Games has been criticized for themes including anti-family, insensitivity, offensive language, occult/satanic elements and violence. Despite the controversy, Katniss continues to inspire boys and girls of all ages to be the heroes and heroines of their own stories. Among the reasons for being challenged, the Harry Potter series has been accused of including elements of the occult, Satanism and violence. Anyone with sense can tell that a smart girl with moxie like Hermione Granger wouldn’t stand for censorship. Her wizarding skills and loyal friendship are forces with which to be reckoned. We would love to hear from you in the comment section about your favorite characters who grace the pages of banned and challenged books. 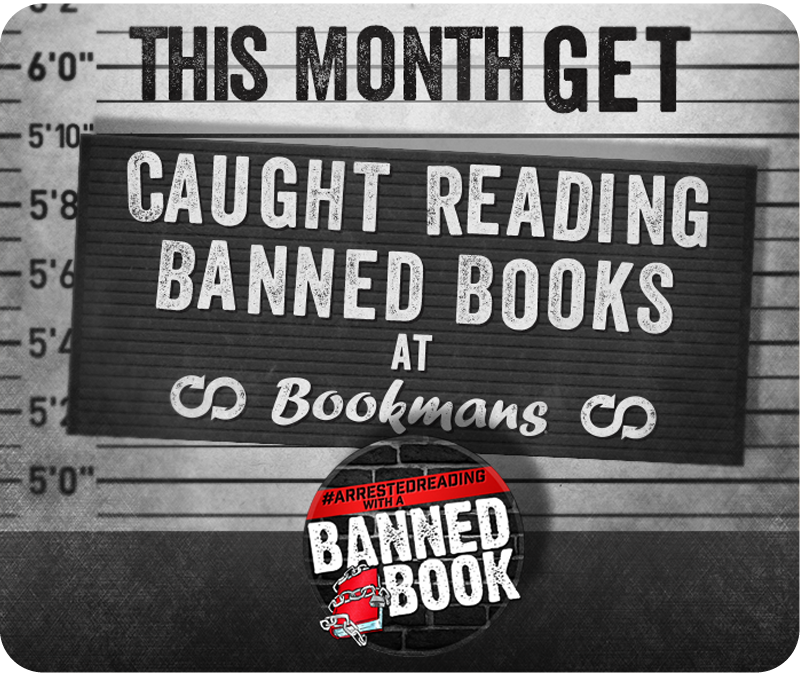 In the meantime, check out some of the banned book-inspired events going on at Bookmans locations around Arizona. For all our event listings, check out our Events Calendar. Here’s to free thinking and the right to read!